TXT records is used by administrators to insert any arbitrary text data or notes for various services to read. For example, txt records are often used to define SPF (Sender Policy Framework). 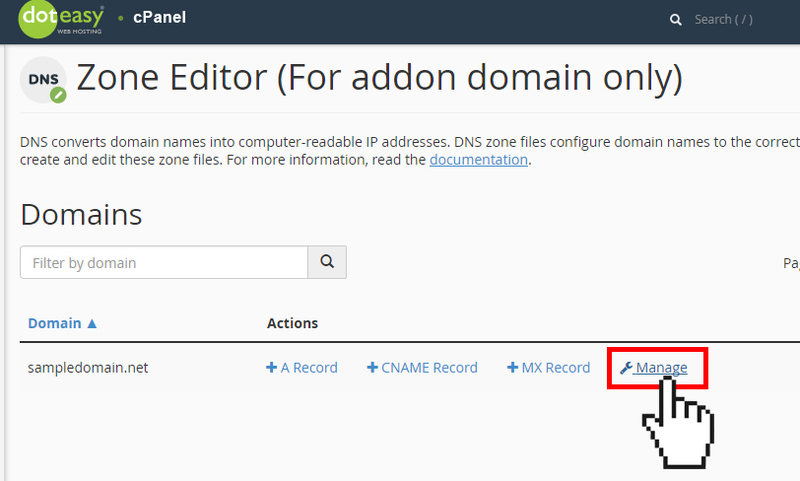 We strongly recommend using the Zone Editor in cPanel to make any DNS zone record changes. NOTE: The Zone Editor only allows you to edit the DNS zone records of your addon domains (ie. domains you’ve added onto your hosting account as an addon domain). If you need to make DNS zone record changes for your primary domain name or domain names you have not added to your account as an addon domain, please use the Edit DNS Zone File tool in your Doteasy Member Zone. 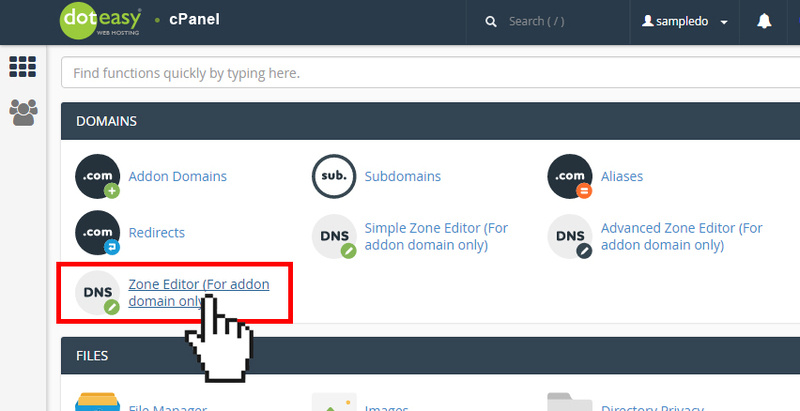 Click on Zone Editor under Domains in cPanel. From the Domains table, locate the addon domain name you want to add an TXT record. Click Manage from the Actions column. From the Type drop-down menu, select TXT. In the Name text field, enter the name for the txt record. In the Record text field, enter the text data for the txt record. NOTE: The TXT record text box accepts any data, including invalid data, and does not issue any warnings. When ready, click Add Record.